The Varsity Gay League is celebrating its tenth anniversary creating a social opportunity for our LGBTQ community & its allies with a space to create a support system while being athletic. Varsity Gay League has just expanded again opening in Denver, Dallas, Austin, Fort Lauderdale & Boston. 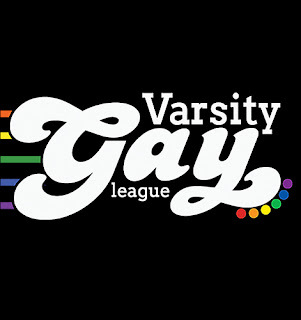 The Varsity Gay League (VGL) was founded in Los Angeles in 2007 by Will Hackner & is the largest gay sports league in California with over 8,000 members since its implementation & has expanded to over 8 cities in the US to include San Diego, San Francisco, Long Beach, Sacramento, Austin, Orlando & Portland with plans to add other major cities to meet the demand. With Kickball as their main sport, the VGL also includes other sports in varying cities such as Bowling, Soccer, Tennis, Beach Volleyball, Flag Football, Dodgeball & Ultimate Frisbee among others. VGL offers year-round outside-the-box activities, games, mixers, fundraisers & sporting events. While there are other organizations across the country that provide activities, VGL hopes that all major LGBTQ hubs will have a sports & activities option for their communities. Their goal is to create a unified, national organization that works with each other in a positive way. VGL already has a host of amazing LGBTQ friendly sponsors, both locally & nationally & they intend to increase new sports programs in cities that exist & create new partnerships & programs that will allow VGL to connect to new audiences.